Townsville City Council, in partnership with the Queensland Government, is planning for coastal change via the Adapting to Coastal Change in Townsville project. The changes brought by storm tide, sea level rise and coastal erosion can have a big impact on our city and the day-to-day lives and wellbeing of our population. As part of the Adapting to Coastal Change in Townsville project, Council is developing a long-term strategy for the city to help us manage these changes in a sustainable way. The Adapting to Coastal Change survey closed at 5pm Friday 26 October. Coastal areas experience a range of impacts from weather events and sea level rise, such as beach erosion, coastal recession and storm tide inundation. These impacts are generally more significant when there is a cyclone and can result in changes to the coastline and impacts to our community. To help plan for coastal change, Queensland coastal councils have been given the opportunity to obtain State Government funding via the QCoast2100 initiative to develop a Coastal Hazard Adaptation Strategy (CHAS). This will help to improve resilience of coastal regions and adapt to coastal hazards. In 2012, Council completed the Coastal Hazard Adaptation Strategy for Townsville City Council Pilot Project (GHD, 2012). The Adapting to Coastal Change in Townsville project (the Project) will build on information presented in the 2012 pilot project, encourage community capacity and inform council’s decision-making about coastal hazard adaptation in the short, medium and long-term. finalising the Adapting to Coastal Change in Townsville Strategy Report. The survey closed on Friday 26 October 2018. Survey responses will be considered. The project team will report back on key outcomes. Stakeholder Reference Group facilitating community and stakeholder participation in the development of draft coastal hazard adaptation options. Draft Adapting to Coastal Change in Townsville Strategy. Community Engagement on Draft Strategy. Contributions to the public consultation will be considered by Council. The final outcomes of the consultation will be documented here with the Adapting to Coastal Change in Townsville Strategy Report. The outcomes of the community survey will be used by Council to better understand what the community value about living in Townsville and how these values may be affected by coastal change. The outcomes of the survey will be provided on this webpage. The Adapting to Coastal Change in Townsville Strategy will undergo community engagement before the draft version is made available for feedback via formal submission. 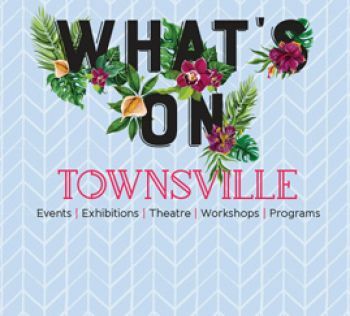 Should you have any questions regarding the project, please contact Planning Services by phoning 13 48 10 or emailing enquiries@townsville.qld.gov.au.